Pimm Fox: Now if you weren’t lucky enough to go to a grocery store today chances are you might be ordering in food. 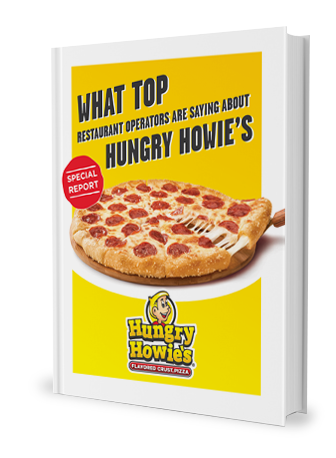 Snowstorms: they’re big nights for pizza, and one business, it’s called Hungry Howie’s, it’s got a particular distinction, a variety of flavored crust pizzas. Steve Jackson is the president of Hungry Howie’s and he joins me now. I know you had to come from Florida to make this happen, so much appreciated. Give us just a low down of why it is that Hungry Howie’s has been so successful. Steve Jackson: Well, we started this brand over 40 years ago, opened the first store up in a suburb of Detroit in 1973, so we’re very familiar with snow. Last year we had over 180 stores in the state of Michigan so, we had record snowfall last year, so, fortunately for us, bad weather increases pizza sales. Pimm Fox: Bad weather increases pizza sales. And I imagine the Super Bowl also increases pizza sales. Steve Jackson: Super Bowl is one of our busiest days of the year. Pimm Fox: Tell us about this flavored crust, because this is a distinction of Hungry Howie’s. Steve Jackson: Hungry Howie’s originated flavored crust pizza in the early 80s. We saw an opportunity to take a product that’s the most customized food you can actually have and make it even more custom. The crust was a handle of a piece of pizza for you to hold it to eat it, and a lot of times when you’re done eating pizza you’d see the crust in the box. So we decided to develop this concept to flavor it with garlic herb, and Cajun, and asiago, and sesame seeds, and it was just a hit right from the beginning. Pimm Fox: You’re making everybody hungry now. Steve Jackson: Well, we brought pizza for the staff so you’ll be able to try it when the show is over. Pimm Fox: What about the expansion plans, because this is a franchise business, tell me what you’re trying to do. Steve Jackson: Well, we’ve had a great last five years. 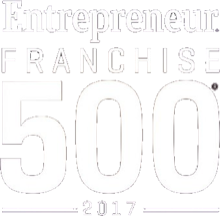 You know, we grew up in Detroit, and as you can imagine in the recessionary times, what took place in Michigan, with the dependency of the auto industry, we sat back and re-evaluated our business model and really rebuilt it over the last five years. We have experienced same store sales increases collectively over the last five years of over 30% average unit volumes of our stores. By really utilizing technology and developing everything we need to be as consistent of a franchise as possible. After 40 years it was time to really bring it all together and we’ve set the stage. 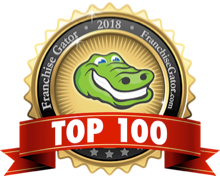 Now you grow as a regional brand, and you try to take that step to a national brand, and we’re positioned to do that and we’re expecting some great growth in the near future. Pimm Fox: All right, want to thank you very much, Steve Jackson, he is the Chief Executive of Hungry Howie’s. I’m Pimm Fox, thanks for Taking Stock, good night.